Set on a headland jutting into the North Sea, the old red sandstone ruin dates to the 12th century when it was a Cockspatrick family stronghold. 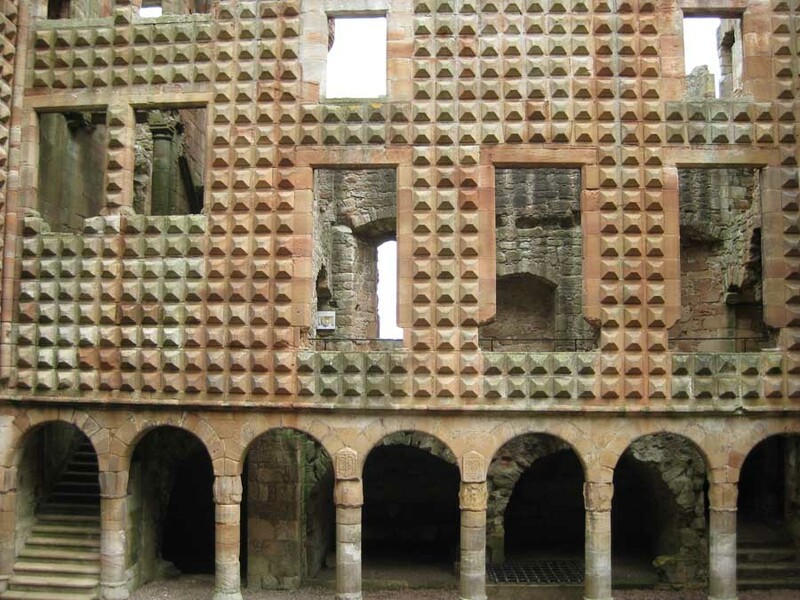 This courtyard-castle was one of the most impregnable fortresses in what is now East Lothian. It was located on the rocks of the headland and incorporated a natural cavern below (now exposed) which may have formed part of the dungeon and undoubtedly acted as a postern-gate allowing supplies to be brought in by boat. For five months, the castle was defended by Black Agnes, Countess of Dunbar, against a siege by the English, under the in 1338 Earl of Salisbury. Sir Alexander Ramsay of Dalhousie most likely made use of the postern in relieving the castle. 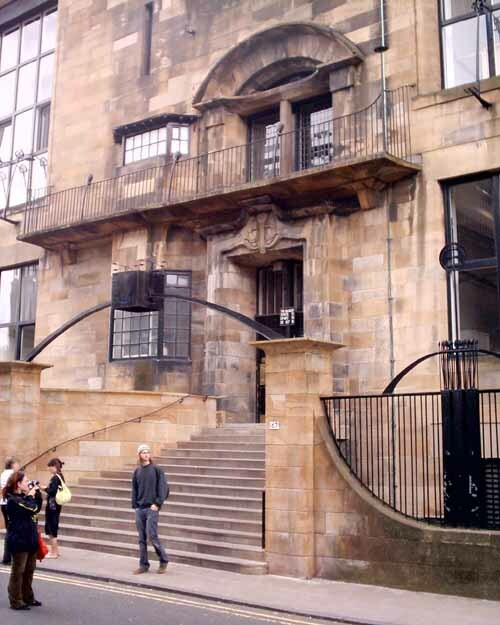 It was later dismantled to prevent English occupation, becoming a pawn in the Anglo-Scottish treaties of the time. Rebuilt by James IV in 1494, both town and Castle were burned by the Earl of Shrewsbury who was returning to England after attacking Haddington. Dunbar Castle is also associated with Mary, Queen of Scots (1542-87), acting as her refuge in 1566, after the death of her secretary David Rizzio, and again in 1567 following the murder of her husband, Darnley. 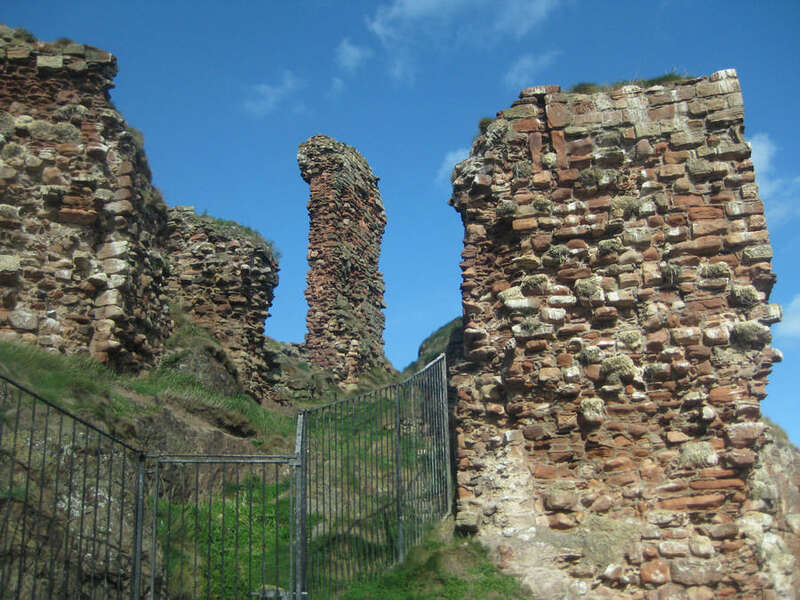 When Mary’s third husband Bothwell came to Dunbar having escaped from Carberry Hill in the same year, the castle was surrended to the new Regent, James Stuart (Earl of Moray) and ordered to be dismantled by the Scottish Parliament. The castle was further destroyed by inventor Robert William Thomson (1822-73) to permit the construction of the entrance to the new Victoria Harbour in the 1840s. Thomson developed the novel technique of firing explosive charges by electricity especially for this task. Today little remains of this once grand fortress.